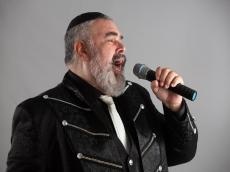 Famous Israeli singer Shimon Sibony will perform for the first time in Baku. The event will take place Azerbaijan State Russian Drama Theater on March 27, Trend Life reported. The concert program will feature well-known works by Giovanni Capurro, Osvaldo Farres, Luciano Pavarotti, Enrico Caruso and many others. Shimon Sibony will perform compositions in Hebrew, Spanish and French. Shimon Sibony was born in the city of Casablanca (Morocco) in a religious Jewish family. From early childhood, he showed an outstanding talent for performing arts. He performed on the most famous scenes of the U.S., Canada, Marroko, France, Great Britain and many countries of Latin America. For a beautiful voice, he was named the second Caruso. Tickets are sold at the theater and box offices of the city.